There’s lots of information that the networks take into consideration when cancelling or renewing a TV series but the ratings are the biggest factor, particularly the 18-49 demographic. That’s the group that the advertisers want to reach the most so the networks must cater to them. Viewership is obviously lower during the summer months (here’s the ABC report card for the regular 2011-12 season). The following chart incorporates final “Summer” season ratings data through Thursday, September 6, 2012. Original ratings data ©The Nielsen Company. All rights reserved. The averages included in these charts are based on the final numbers, not the fast affiliate ratings that are reported the morning after a show airs. These final numbers become available one to three days later (depending on holidays or weekends). Demo numbers are reported by Nielsen using the 10th decimal place (2.1, for example). In these charts, we’re including the rounded demo average as well as the average in 100ths (2.14, for example) in parenthesis so you can get a better idea of how the number’s been affected by the latest episode’s rating. The letter grades are relative and are based on the individual network’s overall performance in either the scripted or non-scripted categories. The networks all have very different gauges for success. A hit show on The CW would get quickly cancelled on CBS. Our system for coming up with letter grades isn’t perfect but it should still give you an idea of where the shows stand when compared to others on the same network. *The letter grades for TV series that run on Friday and Saturday nights are weighted a little differently to compensate for them airing on little-watched nights. What do you think? How are your favorites doing? Which ones would you like to see cancelled or renewed? I absolutely LOVED Duets last year. I think the concept is new and interesting. I tuned in at first because I love Kelly Clarkson & she was great, but I fell in love with the other judges also & the contestants. I personally have NO interest in The Bachelor, & don’t know what the attraction is. I like the shows where talent is involved where someone (like Kelly Clarkson) can be found & we from that point are blessed with their music. PLEASE have Duets return for summer 2013!!! 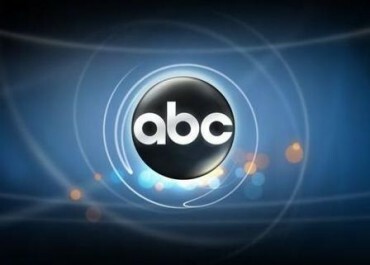 ABC has such a loooooong list of crap shows. NY Med is a great show!!!! What is wrong with u? D+? Come on!! One of the greatest shows I’ve ever seen. This is for real! With real people!!! Please do not cancel this awesome show!! And just to say that Bachelor Pad is on ABC!! Not the CW!! And yes I also like watching that show! I really hope it does come back!! Duets is an entertaining show!! Please bring that back too!!! Love the judges!!! Renew Bachelor Pad for another season if there isnt another season i will never watch CW again. When I look at the ratings of the summer shows, it makes me realize how stupid most people are. NY Med was rated at a D plus and was one of the finest shows I have ever seen. On the other hand, Wipe Out gets an A!!!!!!!!!!!! I am appalled! Please ABC bring back NY Med this fall! Great show! NY Med was the best show on! How can this show get such a poor rating? Since all of the so called reality shows I have all but given up watching TV. I have yet to figure out why they even call them reality because you can tell there’s no truth to any of it. The NY Med show is the only A+ on this list, please don’t cancel.